I've always had this wish in the past that my lights will turn off at a clap of my hands or if I were to say, "switch off!" so I don't have to get up to turn it off. Or I will be able to come home after a night of partying to a room that is already lit so I don't have to fumble around to find the switch, and then get blinded by the harsh lights. Well you know what? All that is now possible with Philips hue - a personal wireless LED lighting innovation that has light bulbs that are actually smart, not to mention the most power-saving. Turns out Philips had collaborated with the design guys from Apple to come up with this product, which is why you can also get this from Apple stores for SGD $319. The packaging is also very minimal, clean and beautiful. I've had the pleasure of using the hue system for a couple of months now in my bedroom, and cannot imagine life without it. 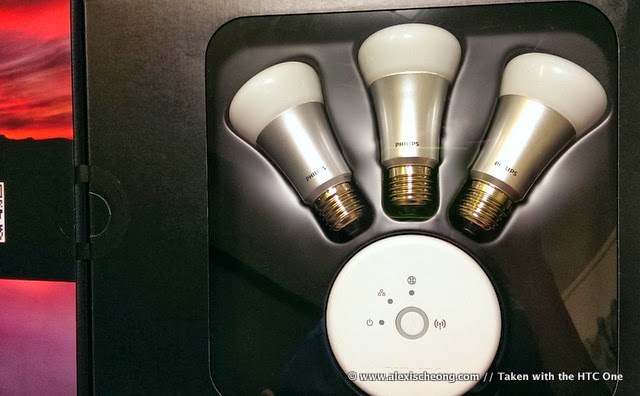 If you are renovating your home, I highly suggest you look into buying a few packs of these to transform your living spaces because anyone will tell you that lighting is really important. 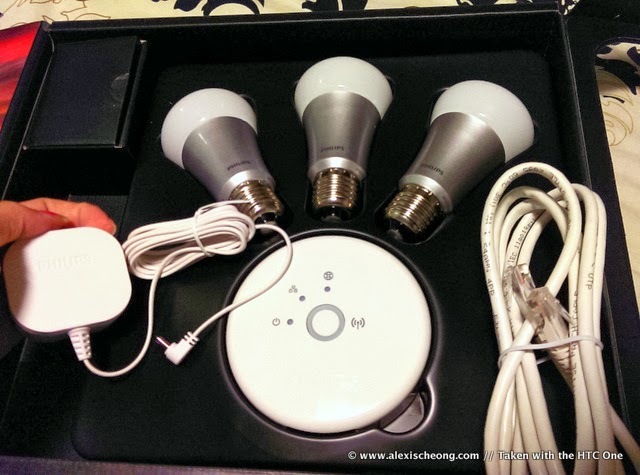 The pack comes with a WiFi bridge and three LED bulbs with the wifi transmitter in them. Set up was a breeze. As you can see it's a 3-step process. 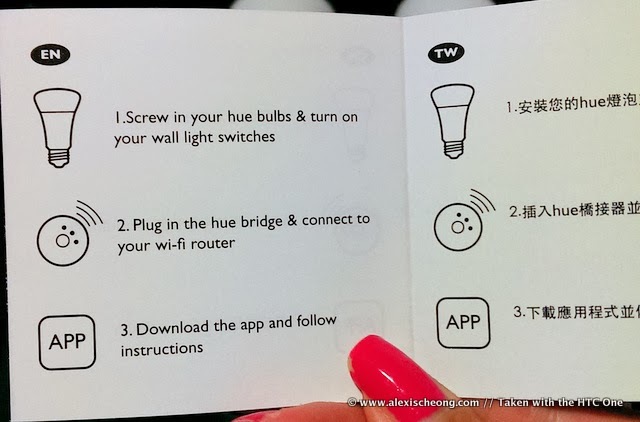 All you gotta do is replace the bulbs, connect the bridge to your router, hook it to power and voila! 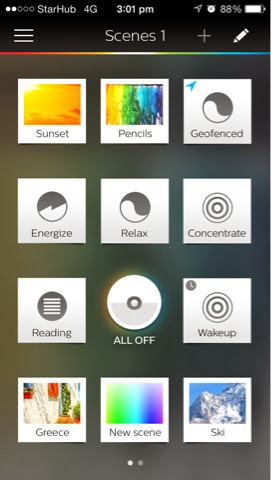 The hue app's gone through several upgrades since I downloaded it and it is awesome! This is how it looks like on the home screen. Testing out the system in my room! As you can see I changed up my room lighting with hue! The first one is what I normally come home to, the "relax" mode. Then there is the "Energize" light recipe. And finally, the custom light recipe where you can select the color you want for each bulb, by using an eyedropper tool via the app. 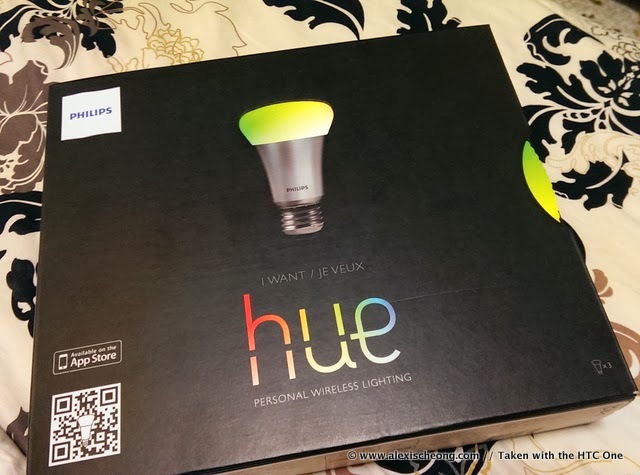 Thanks to Philips Singapore for sending over the hue Personal Home Lighting System so I could see what light can do. Get yours at all good Apple and Philips stores now!